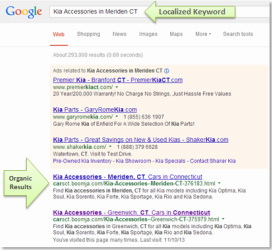 Dominate organic search results for the auto and auto-related keywords your shoppers use when they search online in local markets with localized listings in The Boomja Network. 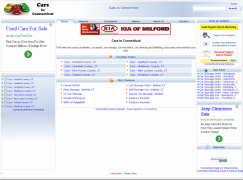 The Boomja Network's Authoritative Auto Portals enable you to localize video, images, content and keywords for car models, accessories, auto parts and other automotive keywords your shoppers search for in all the local markets you need to attract them in - from handfuls to thousands of cities! 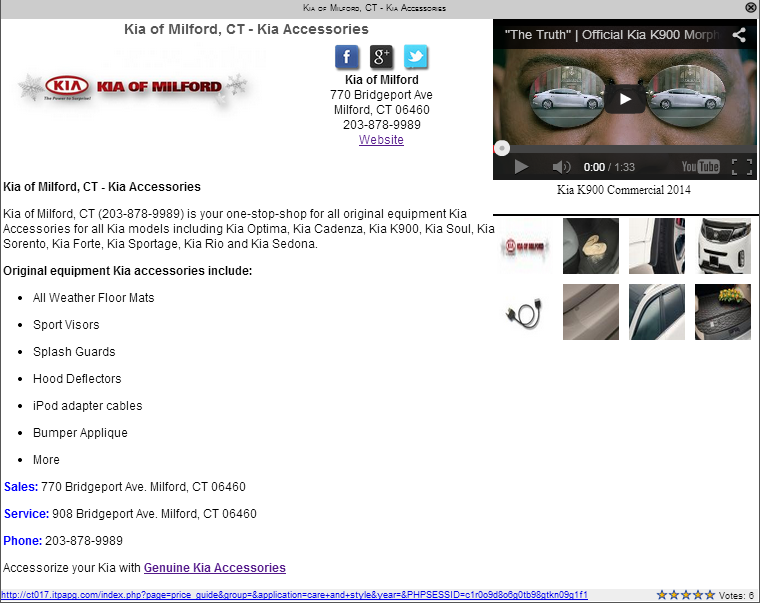 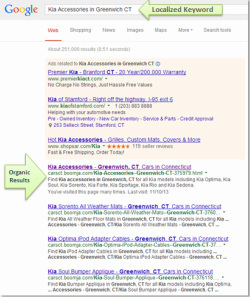 "Kia Accessories in Greenwich CT"
"KIA ACCESSORIES IN Meriden CT"
Let your prospects find you in organic search results in ALL the local markets you need.